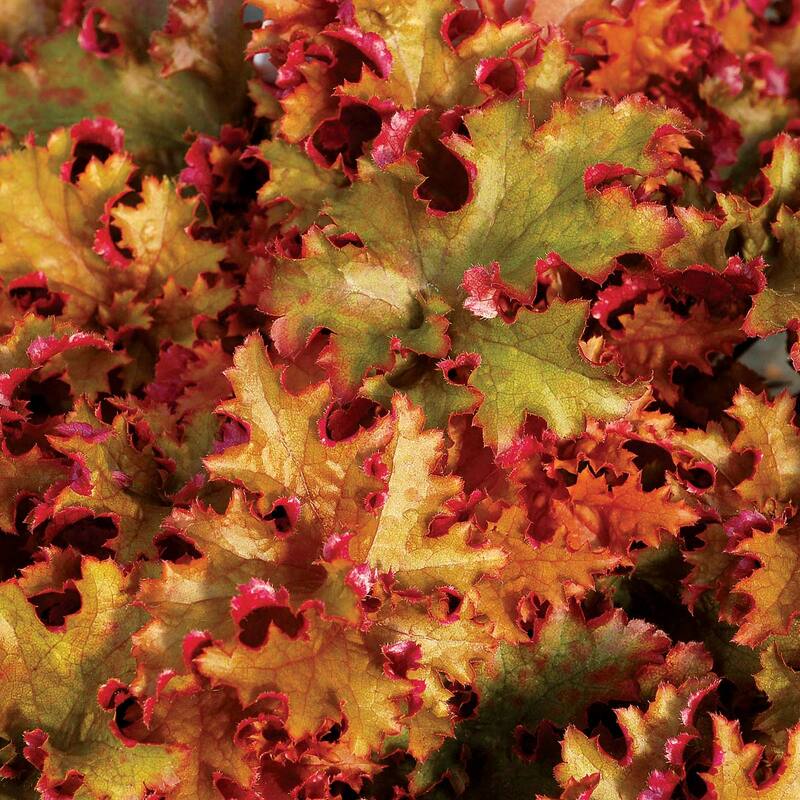 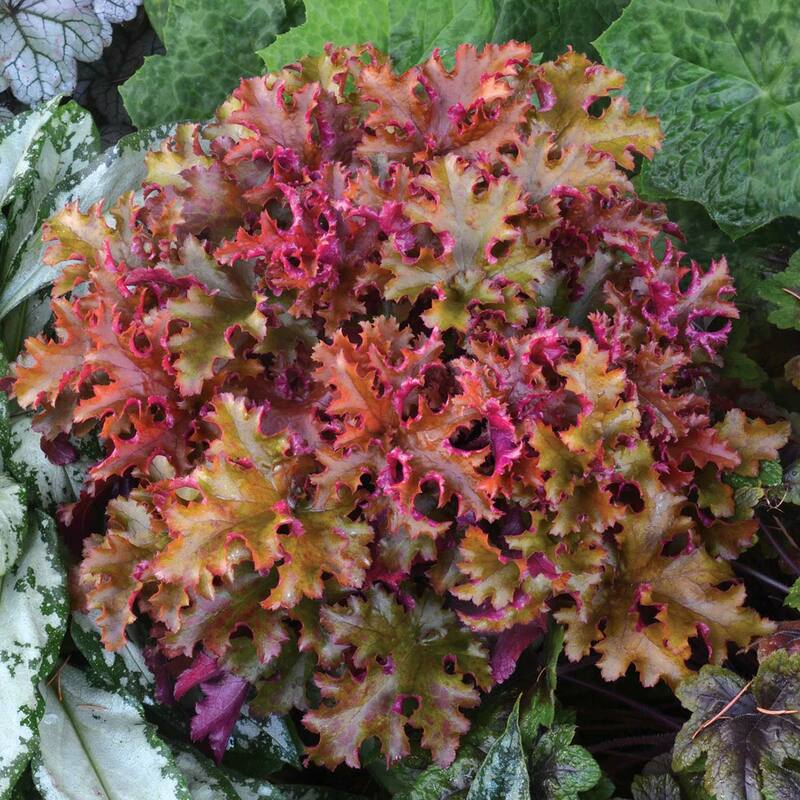 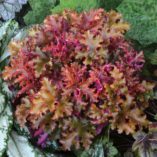 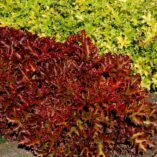 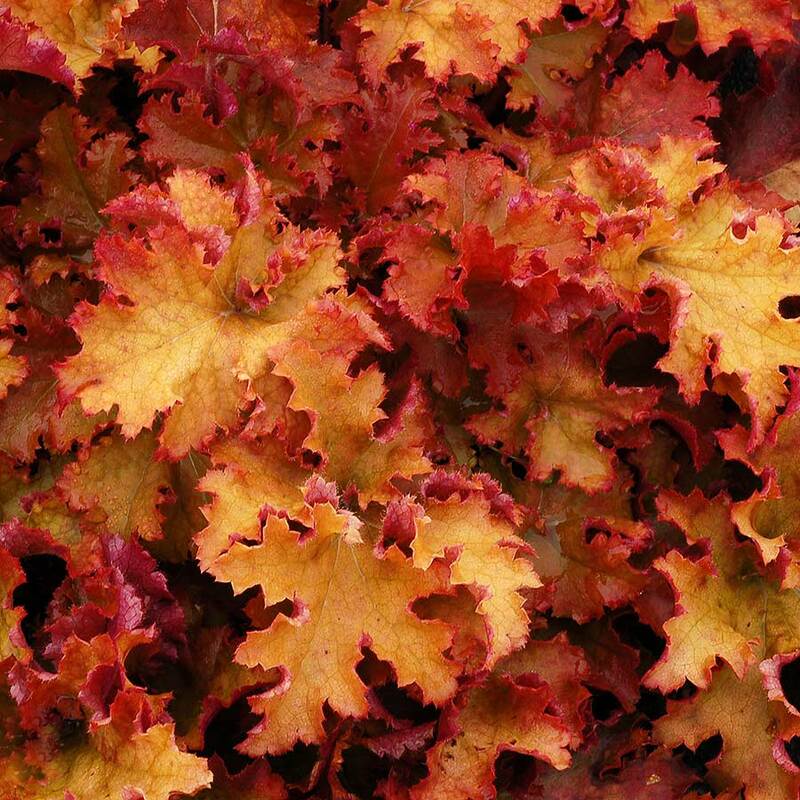 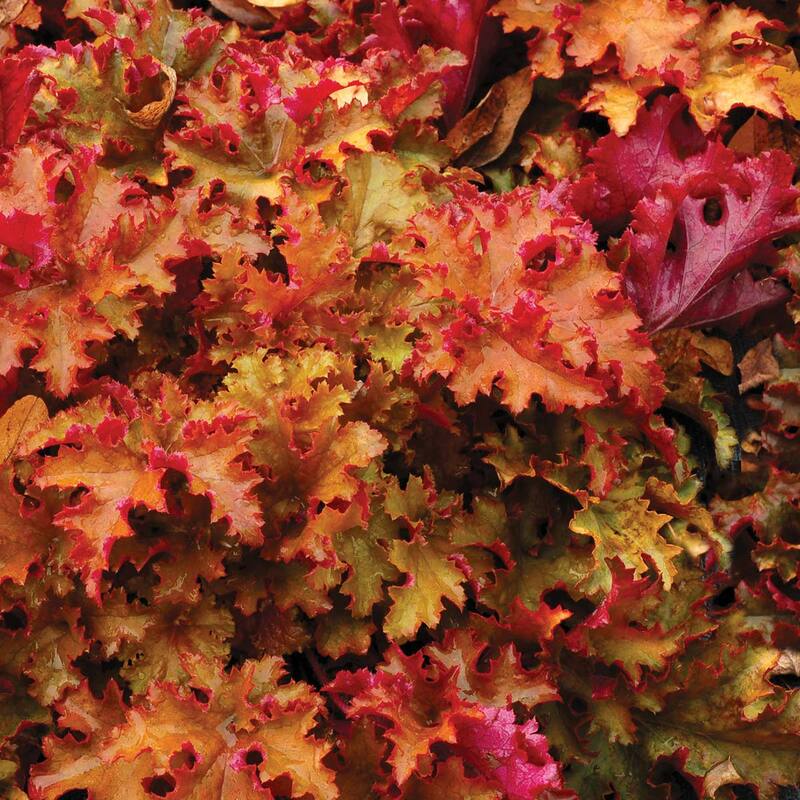 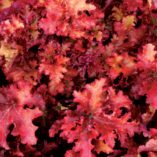 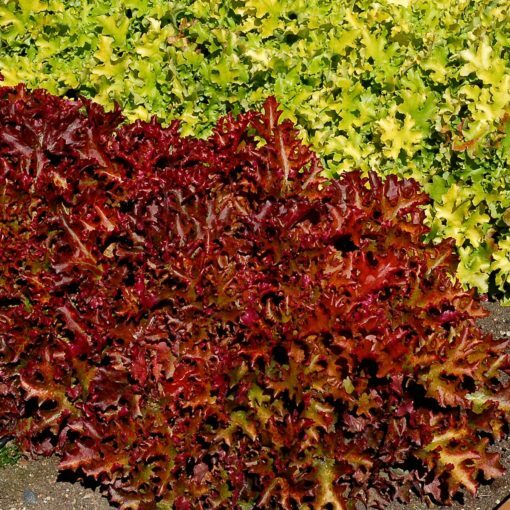 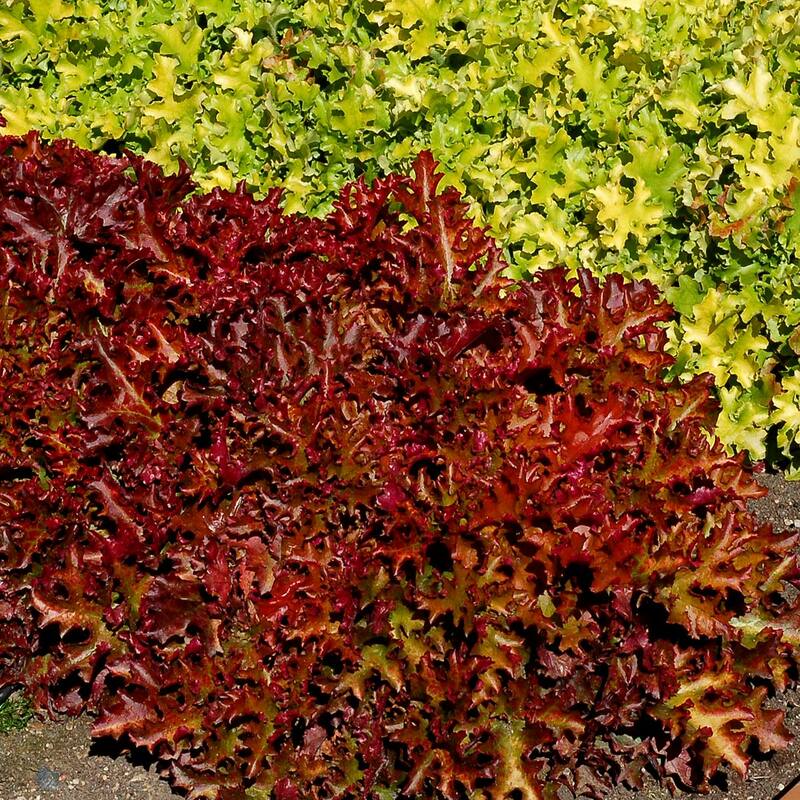 Heuchera ‘Zipper’ | TERRA NOVA® Nurseries, Inc.
You will love Heuchera 'Zipper' with its brightly colored, seriously ruffled leaves. 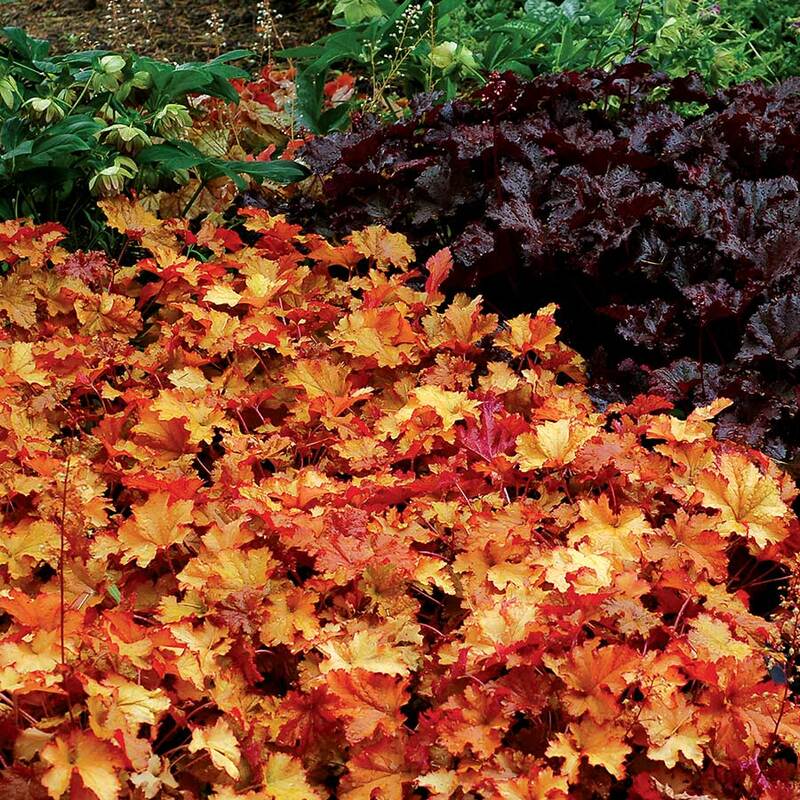 'Zipper' leaves are well-colored all year and change from orange in spring and fall to golden amber in summer and winter, always with its magenta backs showing. 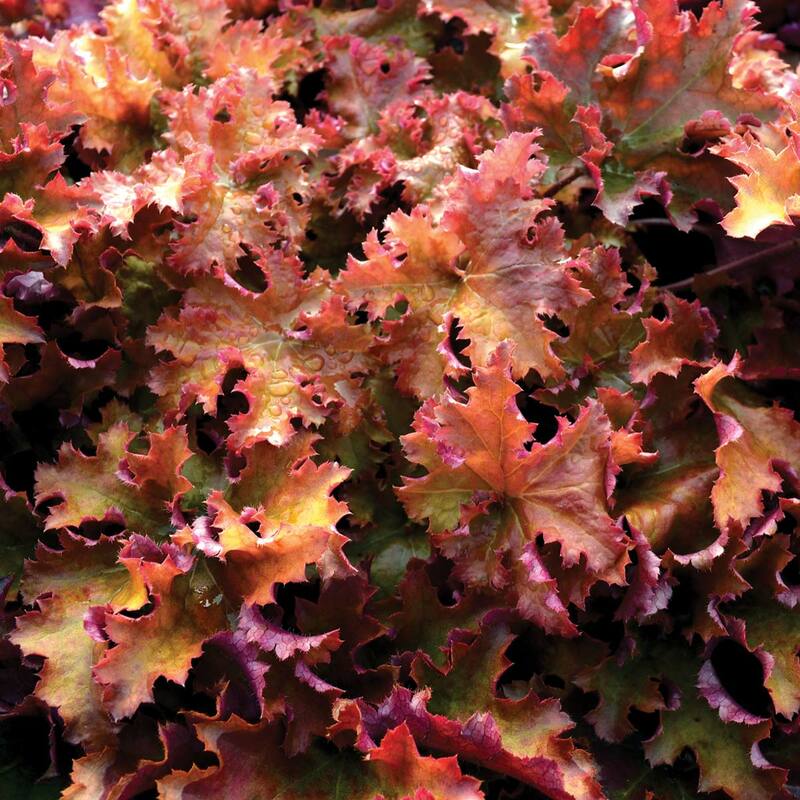 This ruffle was bred with H. villosa which gives the larger leaf size, better heat and humidity tolerance. 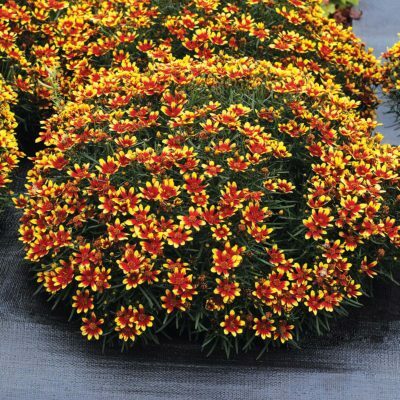 The ruffle breeding gives the good cold tolerance. 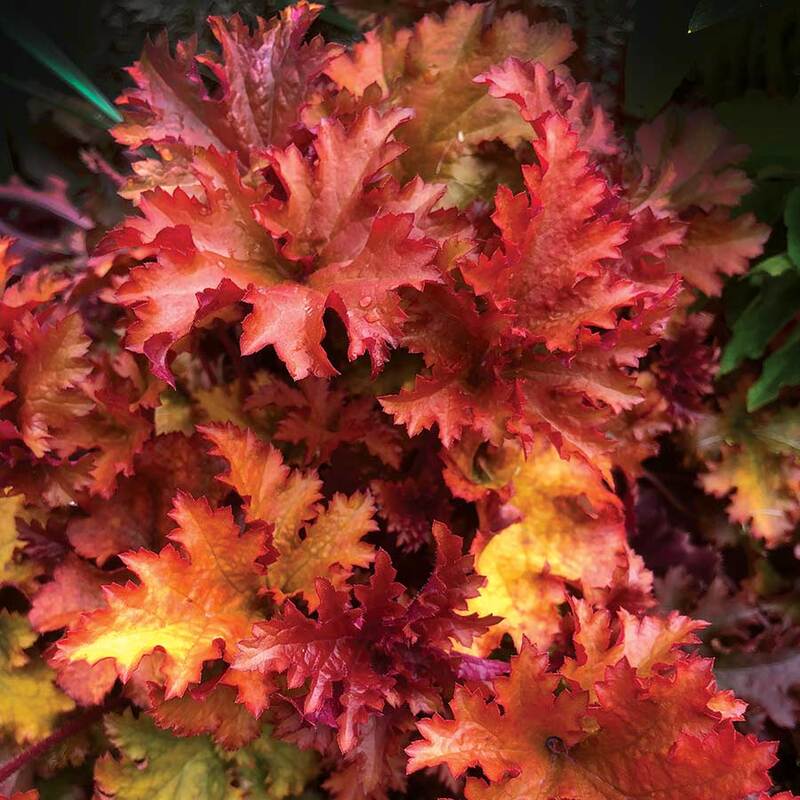 Compared to 'Marmalade' and 'Ginger Peach', the leaves are more ruffled, highly colored, and glossy (rather than matte). 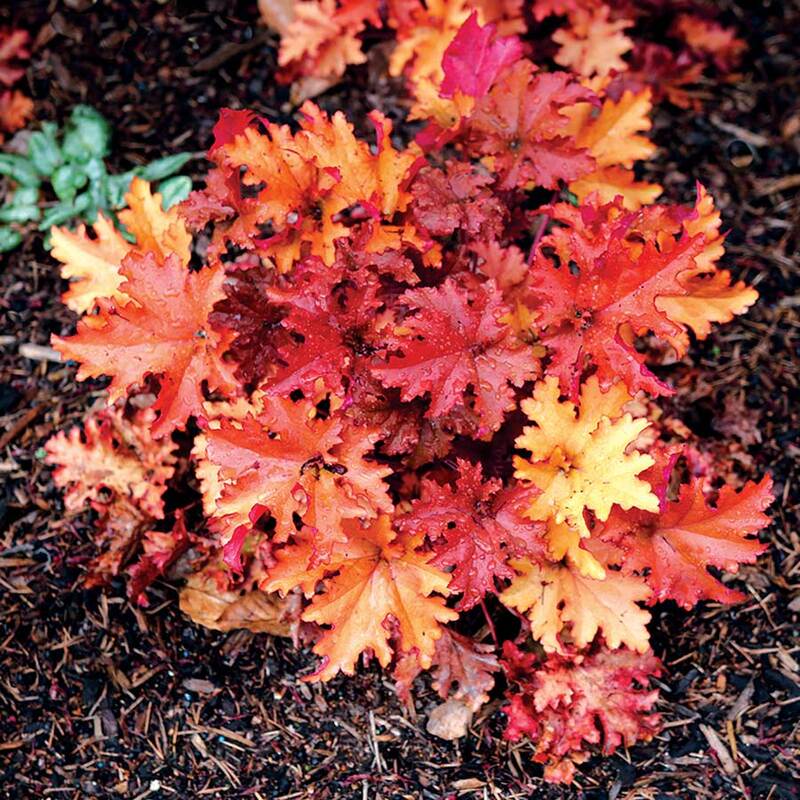 The foliage holds its color extremely well. 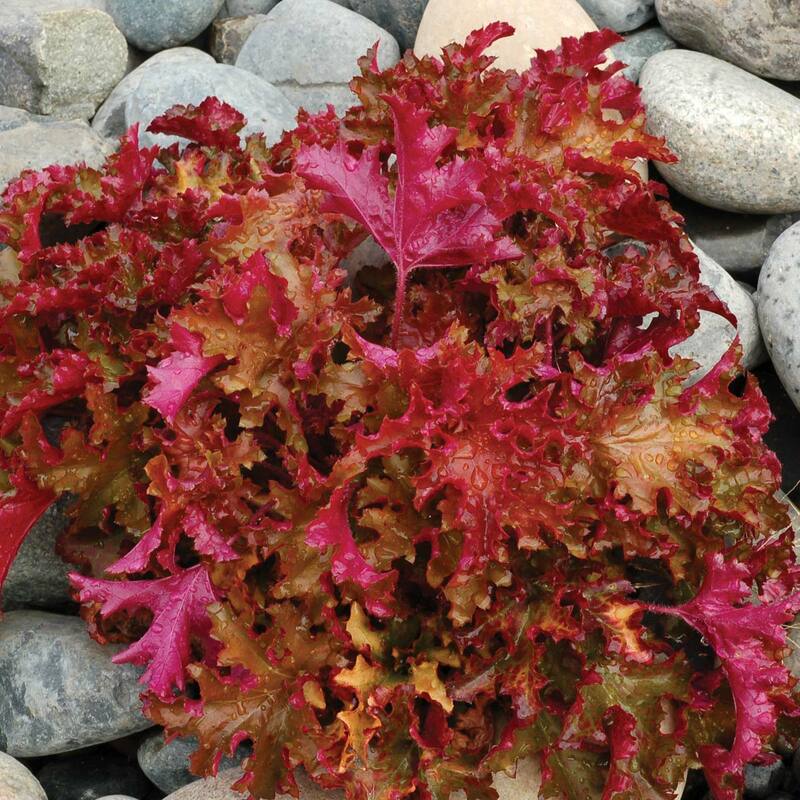 Has villosa and ruffle breeding. 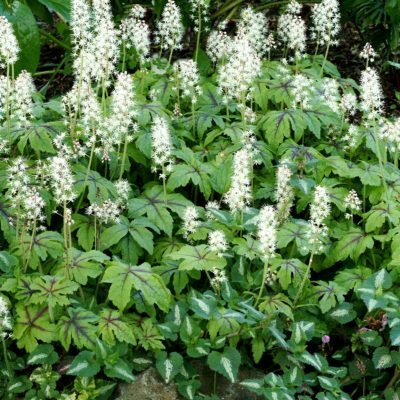 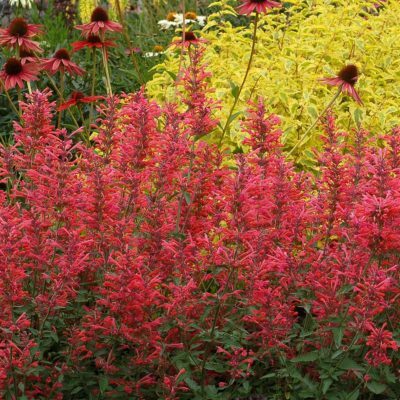 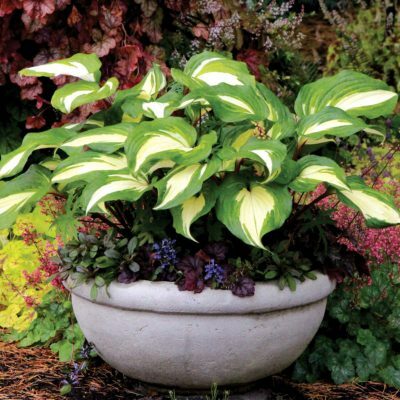 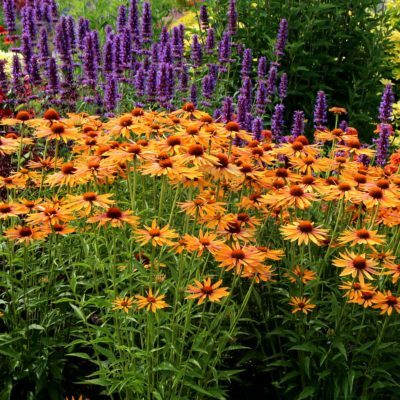 Accent, borders, mixed beds or containers.